It was just turning bright and so we decided to take a walk to the beach and along the seashore. We were not expecting to find anything interesting, but being the shutterbugs that we are, took the cameras along. And it was good that we did…the place was buzzing with activity. From people swimming, jogging, doing yoga, playing football etc…we seemed to be the lazy ones out there. 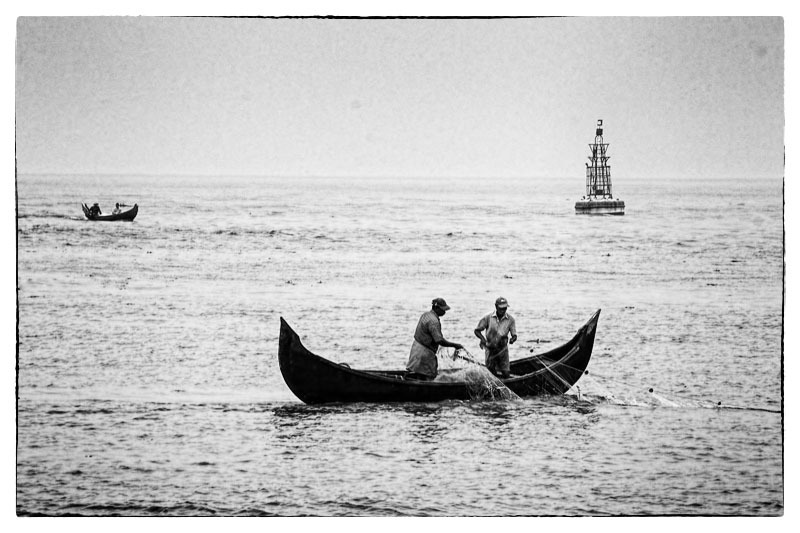 What however caught our eyes were the local fishermen. 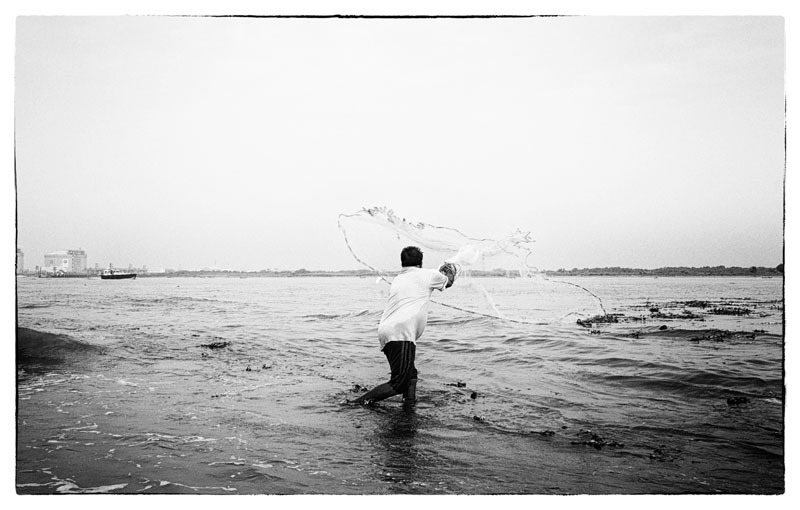 From surveying the waters, to casting their nets, collecting the fish, and repeating the process till they had a large enough catch, it was a treat to be there with them. 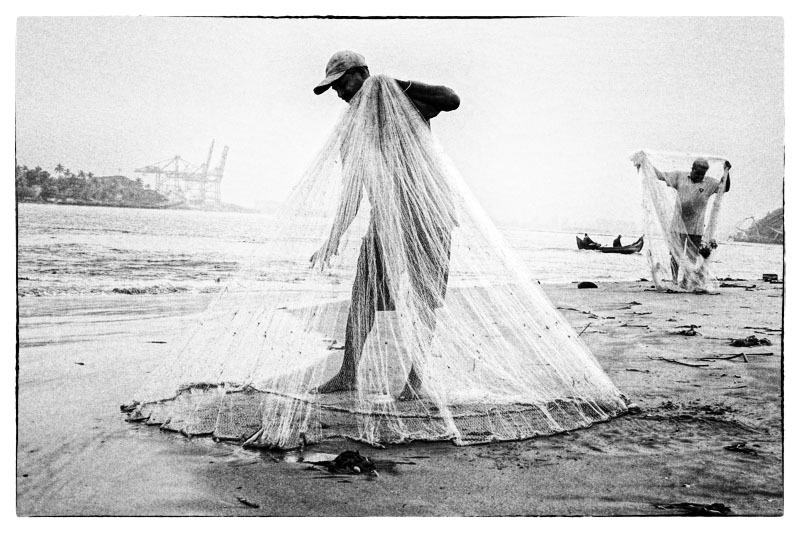 A careful inspection of the water and the tide gives them an indication as to where and when the nets should be cast to have the chance of catching some fish. 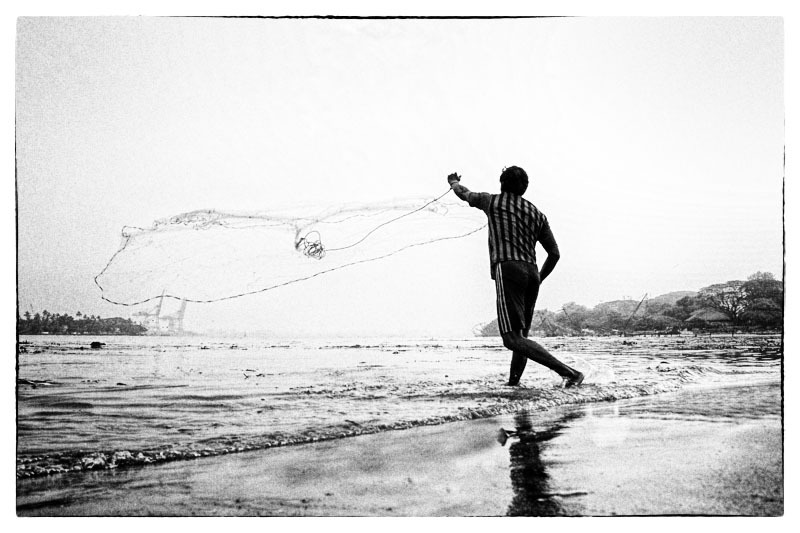 Each fisherman seemed to have his own style in casting the net, in some cases, like above, this was a low underarm swing. This mans approach was different. The net was twirled around the body once, then cast from over the head. This was the boring part….after each cast, the nets had to be cleaned of debris, and folded into position again before the next attempt. 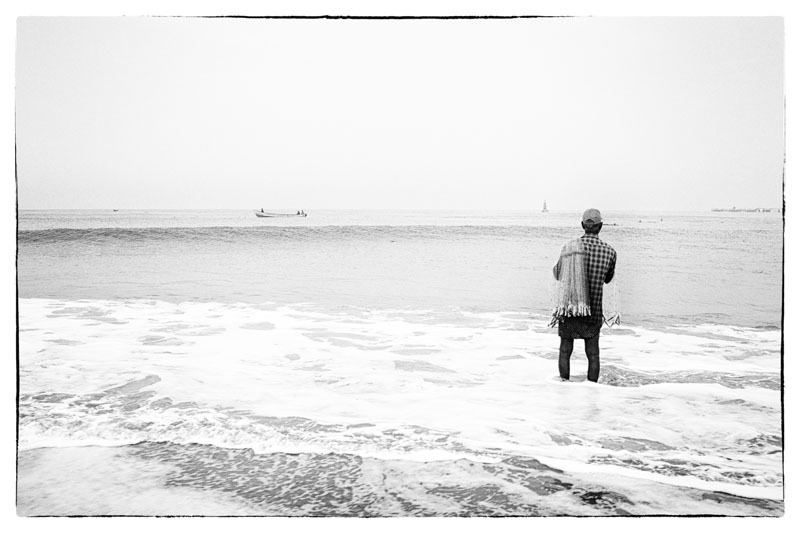 The pictures have been posted in monochrome because it relates more to the situation these fishermen face. Most days the skies, (and hence the water) is void of color when they fish; giving them more of a monotonous and bored impression. 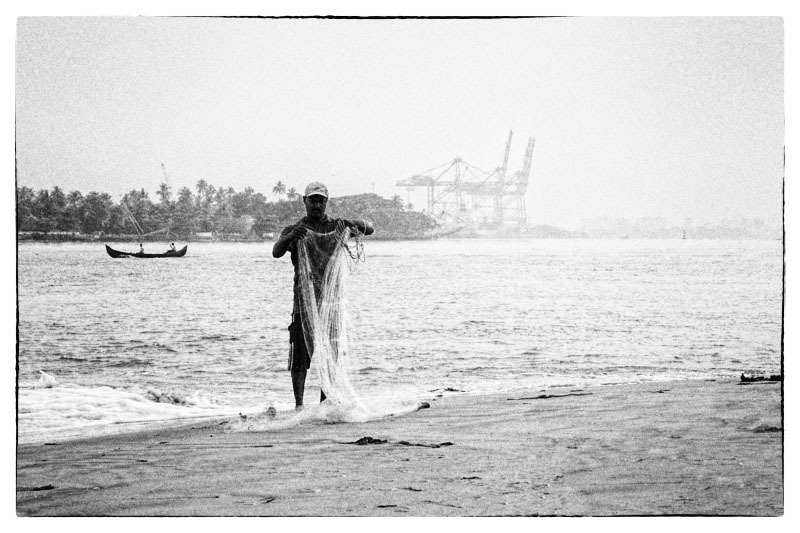 This entry was posted in Uncategorized and tagged boats, culture, fishermen, fishing, nets, sea, water, work on September 26, 2016 by pkphotography.